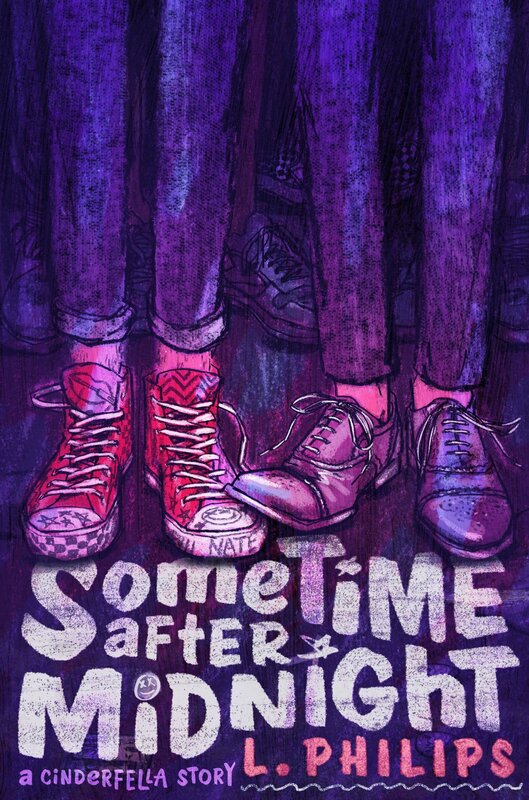 In a dingy Los Angeles club late one night, Cameron and Nate meet and find they have much more in common than their love of an obscure indie band. But when Nate learns that Cameron is the heir to a record label, the very one that destroyed his father’s life, he runs away as fast as he can. The only evidence of their brief but intense connection is a blurry photo Cameron snaps of Nate’s Sharpie-decorated Chuck Taylors as he flees. Considering that Cameron is a real life Prince Charming – he’s handsome, famous, and rich – it’s only fitting that he sets out to find the owner of the Sharpied shoes. Cameron’s twin sister, a model and socialite, posts the picture of Nate’s shoes on Instagram to her legions of fans with the caption, “Anyone know the gorgeous owner of these shoes? My hottie brother is looking for him.” The internet just about breaks with the news of a modern fairy tale and the two become entwined in each other’s lives in this sparkling story about the power of music, the demons that haunt us, and the flutterings of first real love. Sometime After Midnight was suggested to me after I bough another book and I was immediacy grabbed by the cover art, this book has the most beautiful cover I have seen and if I’m honest even if I didn’t like the blurb I was still going to buy it just because it looked pretty. But I read the blurb and it sounded like something I like to read and enjoy so I bought a copy. I’m a sucker when it comes to a good YA romance story and this looked like it was going to be another great read, and thankfully it was! What I really liked about the story was that the characters met quite early on, within the first couple of chapters in fact. It was nice to see this because normally you get introduced to both characters then have to wait what feels like an eternity before they actually meet. I liked that they didn’t both fall in love with each other straight away and they had their own problems to deal with as well as being in love. I thought it made the characters have a lot more depth and I found them both a bit more relatable. This is L. Philips debut book and I have to say that I would read ore of her novels because I found the writing to really enjoyable to read. I thought that she managed to develop both of the main characters really well and they did both become really likeable characters. I did connect more with Nate than Cameron but I still found both characters to be really interesting. I also liked the way the book was written it felt real and emotional at times, as well as having a the usual coming of age book trademarks. I also liked that the love story wasn’t just the main focus of the plot because I really loved the music aspect of the story and I think thats what made me fall in love with this book even more. While I did enjoy reading Sometime After Midnight, and I managed to read the entire book in just a couple of sittings, I did think that towards the middle of the story the plot did become a little dull. I found my attention dipping a little because for me not a lot happened compared to what happened at the beginning and end of the book. But as I said the plot does pick up again as you get towards the end and I think the story finished off really well and I liked the ending. If you like reading gay YA contemporary romance books then I would high suggest you pick up Sometime After Midnight because I am sure you will enjoy it just as much as I did. If you are looking for something more than just a romance story then this is the book for you because it has many layers to the story than just love. I thought both of the main characters had real depth and were really likeable characters. The writing is something new and fresh and I can’t wait to see what else the author has up her sleeves because I need to read more of her work.